Marrying an illegal immigrant? You probably have lots of questions. Perhaps one is about a way for your spouse to get status in the United States. The short answer is probably yes, but it does take some time. In this guide, part of our guide to green cards, and related to our special article on marriage-based green cards, we explain the immigration process for US citizens who marry an illegal immigrant. These are people, usually from Mexico, who enter the United States without an immigration officer inspecting him or her. If you are just looking for information, please keep on reading. If you know that you need help about Green Card Application Process, please contact us to speak with our immigration attorney. In writing about immigration matters, we are mindful of our audience. We have to have a title for our articles, but what title to use? We review Google searches. The people who marry someone who enters the United States without inspection are looking for help. They choose to search for that help by typing queries like “marrying an illegal immigrant.” Thus, in our effort to help these searchers about Green Card Process Steps we are going to choose that phrase for our title. If you have looked at articles on green cards based on marriage, you are aware that there are two ways to get a green card for your spouse. 1. Filing in the United States for an immigrant visa petition. But, combining that filing with a request for adjustment of status so your spouse gets a green card here in the United States. 2. First, filing an immigrant visa petition in the United States. Next, filing to collect the immigrant visa petition in your spouse’s home country through consular processing. When you marry an illegal immigrant, otherwise known as undocumented immigrants, you never have option one. Before April 30, 2001, it was possible to pay a fine of $1000 when your spouse Entered Without Inspection (EWI). You could then adjust your status based on marriage here in the United States. But for most immigrant visa petitions filed after that date, adjustment of status based on marriage is no longer available. Sometimes your spouse can use a priority date on an earlier petition. If you think this may apply in your circumstances, please contact us to review your case. You could save you a lot of time and money from our Us Green Card Process. Without adjustment of status, the only option for your spouse is that he or she leaves the country. The spouse then completes consular processing in his or her home country, commonly Mexico. Your spouse will be going to Ciudad Juárez to pick up the immigrant visa. Now that you understand how the system works to get your spouse a green card when you marry an illegal immigrant, we survey some of the problems that your spouse would face in leaving the United States to go to Ciudad Juárez to pick up the immigrant visa and return to the United States. The problem facing most undocumented immigrants in consular processing for the immigrant visa is that illegal immigrants are by definition immigration violators. Therefore, they have an unlawful presence in the United States at a minimum. US immigration law specifies that when someone remains in the United States for more than one year without permission, once they leave they are subject to a 10-year bar before being allowed to reenter. Our Process To Get A Green Card is simple and easy. You see the problem. Once your spouse leaves the United States for his or her appointment at the US consulate in Ciudad Juárez, he or she will be denied an immigrant visa based on marriage as he or she is ineligible to reenter the United States for 10 years. 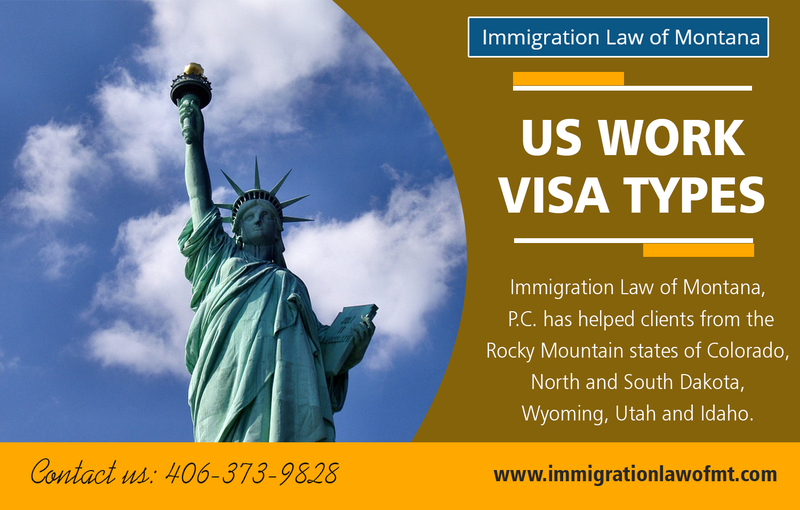 You only receive an immigrant visa if you are immediately admissible to the United States. Most problems in immigration law have a solution. A person who is ineligible to enter due to a 10 year unlawful presence plan may request a waiver of that ban. In the old days, prior to 2013, your spouse could not request the waiver from the consular officer that had interviewed him or her. The consular officer would find him or her inadmissible. He or she would then apply for the waiver and wait in Mexico for the USCIS to approve it. He or she could once again apply for the immigrant visa based on marriage, this time with success. Now, your spouse may apply for lawful presence waiver while he or she is still in the United States with you. The waiver request of unlawful presence while in the United States is made on form I-601A, Application for Provisional Unlawful Presence Waiver. While your spouse is the applicant for this waiver, he or she may only apply with a qualifying relative, of which a US citizen or lawful permanent resident spouse is one. You may also apply with a qualifying US citizen child. To qualify, your spouse must show that you the US citizen would suffer extreme hardship. For more information on the I-601A unlawful presence waiver, please review our I-601A guide. By far the most common immigration violation affecting illegal immigrants is an unlawful presence as discussed above. But another common immigration violation is an outstanding order of removal. Somewhere along the way, an immigration court ordered your spouse removed from the United States. A lot of times these removal orders are in absentia; i.e., the immigration court gave your spouse a removal order when he or she failed to show up for, was absent from, in absentia, his or her scheduled immigration hearing. How we deal with these old in absentia removal orders depends on the date the immigration authorities placed your spouse in removal proceedings. If it was before 1997 when the law changed, and your spouse never left the United States, the five-year bar to reentry will have run. Your spouse can thus proceed to apply for the unlawful presence waiver. Sometimes, it may be in your spouse’s best interest to file a motion to reopen in immigration court instead to remove the old in absentia removal order. Depending upon which immigration court that in absentia removal order is out of, we can help with this service of reopening the old order. The last problem that may affect your spouse, and is a problem for some illegal immigrants here in the United States has two possible components. Your spouse may have a criminal conviction that makes your spouse inadmissible to the United States. Alternatively, your spouse may have either committed immigration fraud or made a material misrepresentation to the immigration authorities. 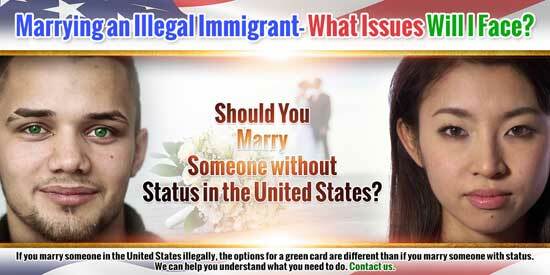 Both these problems cause your spouse to be inadmissible, ineligible for a green card. To address either of these grounds of inadmissibility, your spouse must request a waiver. The I-601 is very like the I-601A in the USCIS requirements. While your spouse makes the application, the standard is whether he or she has a qualifying relative, a US citizen spouse or US citizen children and whether these qualified relatives would suffer extreme hardship. Just like the I-601A, extreme hardship is difficult to show and will differ for different people. We have a guide to the I-601 waiver. In it we discuss how to determine the best way to meet the USCIS extreme hardship requirement. If you read over this guide to marrying an illegal immigrant, you can see that our immigration attorney is very familiar with the types of immigration problems affecting them and possibly preventing he or her from receiving lawful permanent resident status in the United States. Usually, the best way to proceed if you are marrying an illegal immigrant is to get a consultation with us, an immigration attorney, for you and your spouse to understand your particular circumstances. We will analyze your situation and advise on the best way to go.